A 25-year-old federal contractor is facing charges she leaked a classified National Security Agency document to a news outlet in May. The charges come about an hour after the publication of a story based on an NSA document detailing Russian attempts to hack American voting systems. 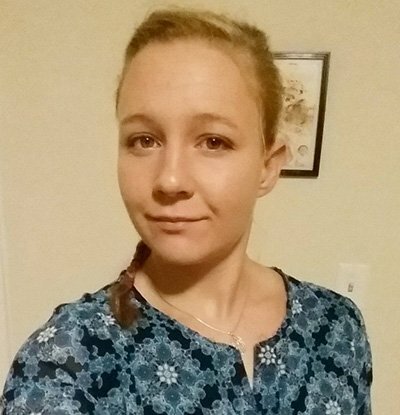 Reality Leigh Winner, of Augusta, Ga., is facing charges that she removed classified material from a government facility and mailed it to a news outlet. She was arrested on Saturday and appeared on the charge Monday. The announcement comes shortly after The Intercept published a report based on a classified intelligence document showing Russian government hackers attempted to hack more than 100 local election officials before the November election. According to the report, Russian military intelligence sent the emails to local elections officials. They also attempted a cyber attack on at least one American voting software supplier. The Justice Department didn’t confirm that Winner leaked the document to The Intercept, but the report stated the report received by the news outlet was dated May 5. 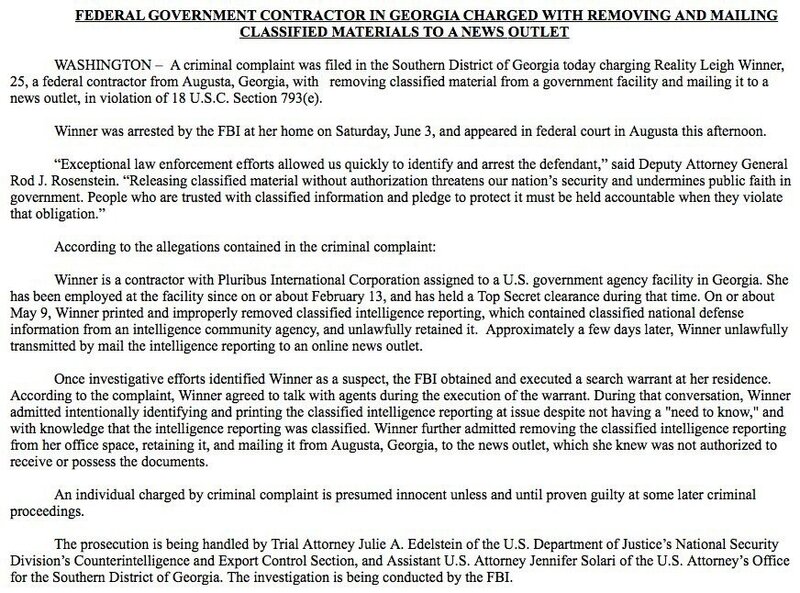 According to the Justice Department release, Winner printed and removed the classified document on May 9. Winner worked for Pluribus International Corporation and was assigned to a government facility in Georgia. She’s held a Top Secret classified security clearance since being hired on Feb. 13. Absolute proof we have traitors embedded in our Government and its many agencies... How could this POS get a top secret clearance?